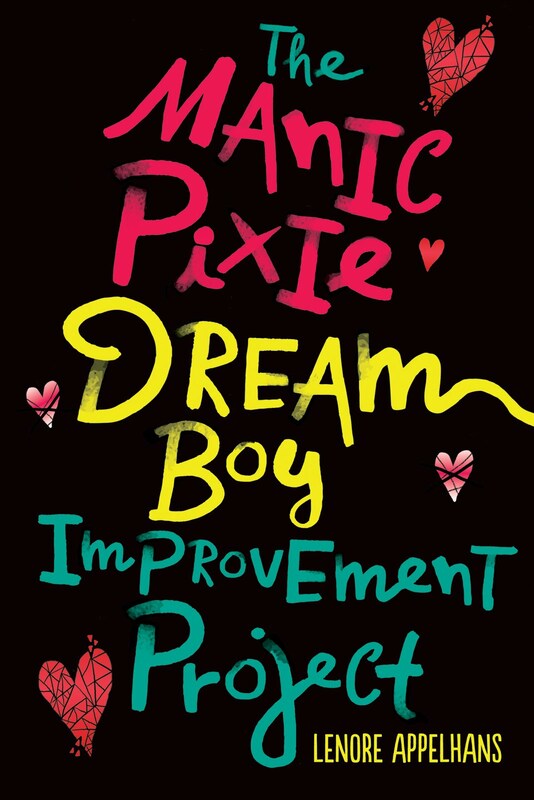 Presenting Lenore: We have LOTS of book winners! I still need to e-mail everyone, so if you haven't gotten an e-mail yet and your name is listed here, please send me your mailing address to lenoreva AT hotmail DOT com. Winners of Chalice (in addition to instant winner Jana) are S.Krishna, AC, Jeane, and Cuileann (who is in Iceland now, but I still hope she'll send her address soon). The winner of Schooled is Mari. The other winner of Beautiful Americans (Kelsey got the instant win) is Amber which is super crazy and cool because not only is she an exchange student RIGHT NOW, she lives a half hour away from me! 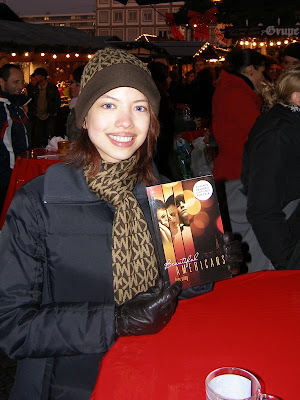 So we met today at the Darmstadt Christmas market and she posed with her new book. Amber was the official YABC teen reviewer in 2007 and now reviews for Teens Read Too (you can see a list with links to her book reviews here) and Daniel and I enjoyed meeting her. We plan to meet again in February for some "crack sushi" here in Frankfurt. I had a great time with you and Daniel today! You are both so easy to talk to and fun to hang out with. I am very much looking forward to our crack sushi meeting in February! My goodness. Adorable meets adorable in Germany. This is fantastic! Oh my gosh that's so fun you guys got to get together! Oh books, always bringing people together! Yay! I can't believe I won...thanks a million!!! And, oh my gosh, how dang cute is Amber??? Lenore--thank you so much for posting the photo! Seeing my book in the hands of someone who doesn't work for the publisher or isn't related to me is a wonderful thing! Amber--I really can't wait to hear your thoughts on it!! Enjoy. Wow, thanks! I didn't think I'd actually win!